!—pricing archived as of 5-3-18–! We aim to offer a CRM solution for all organisations, small & large. Only a handful of employees who will use the CRM? 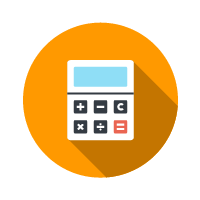 Option 1 is tailored to ensure you will only be paying for what you're using, you won't be paying the same rate as a multi-national! For a slightly bigger enterprise, Options 2, 3 or 4 give you a lower rate per user with a higher threshold of maximum users. If your company recruits or expands - simply upgrade your YapCRM Option for the remaining contract period. For bigger organisations needing higher numbers of users with access to the CRM, or indeed operating multiple CRMs, we're happy to negotiate a reasonable contract. Contract prices are set for an agreed upon period at contract negotiation whereby you will be safe from any price rises that may be implemented, and you are entitled to cancel your CRM contract with three months notice, whichever Option is chosen.